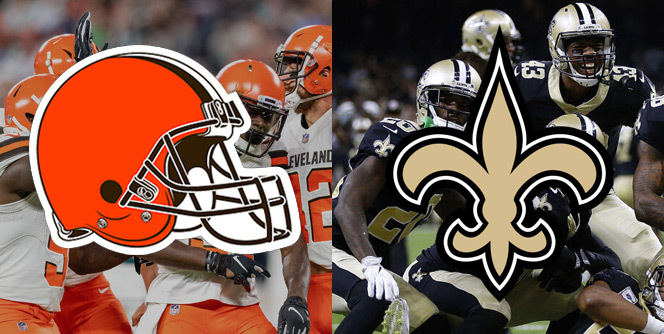 Week 2 The Browns March to New Orleans and take on the Saints, in what I think will be a passing game between the teams. Look for the Browns to keep the pressure on Drew Brees, disrupting the offense and create takeaways. On paper, Cleveland has a much better chance of getting the win against the Saints than they did last week against Pittsburgh. And I am looking forward to the opening of the Bud light Victory fridge! The Browns are 13-4 all-time versus the Saints, 5-1 since 1993, 3-0 on the road since 1999. In their last meeting in 2014, Saints were 6-point favorites to take the win in Cleveland, and lost 26-24. In 2010, New Orleans was 12.5-point favorites at home and lost, 30-17. The Saints have toned down the Blitz plays we have seen in the past few years. So I expect a big game for Landry as well, Taylor will have a little more time in the pocket to make some big plays. The Saints will have to keep pressure on Taylor, if they want to keep Landry in check and force the Browns to stick to short gain passes if they want to contain the offense. Look for Antonio Callaway to get significant playing time, as the Browns have announced the release of Josh Gordon. Additionally this week I would like to provide a very accurate and pro take on the Browns game 1 tie over the Steelers. Check out this video and give Cleveland Sports Memes a follow. One of my favorite Browns Twitter accounts, and also has some great takes and updates during the games. It is almost mathematically impossible for a team to get 6 turnovers and not win. It is apparently impossible for the #Browns to win. So will this finally be the week Cleveland goes crazy in streets? Will the victory fridge open? Will we see a replay of the Cleveland Indians 10 cent beer night 44 years ago?